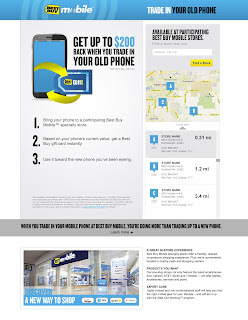 Did you know you could trade in your old cell phone for up to $200 at a Best Buy mobile specialty store. Best Buy recently offered me a gift card to try out the service for myself, and I cannot wait to share with you what I found out! 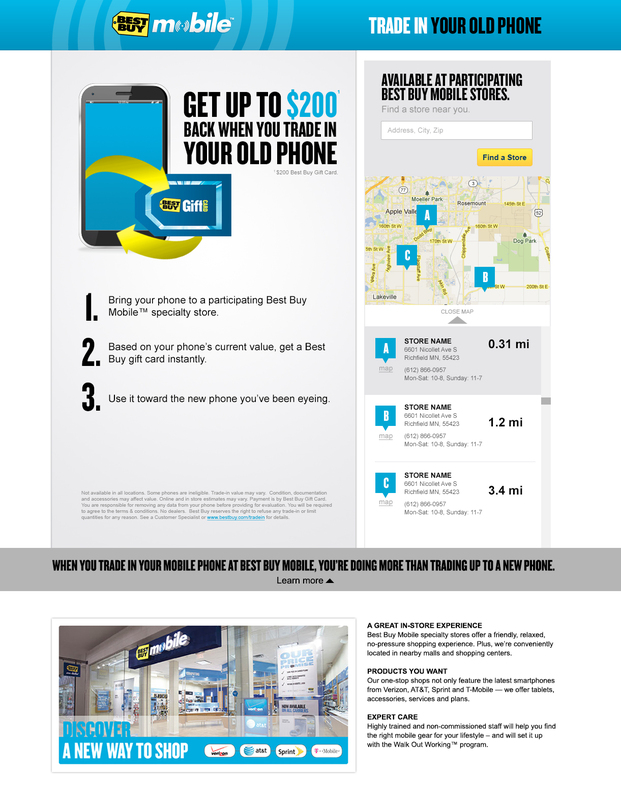 You should find that the location is in a convenient location for you as well, as Best Buy set up these locations for convenience, these shops are found locally in malls or in your neighborhood shopping centers, and are focused on mobile devices and accessories. I hope you find the staff as helpful as I did in finding the best plan and best phone for YOUR needs! No high pressure sales people-- just honesty and helpful service!!! I had no idea this did this EVERYDAY!